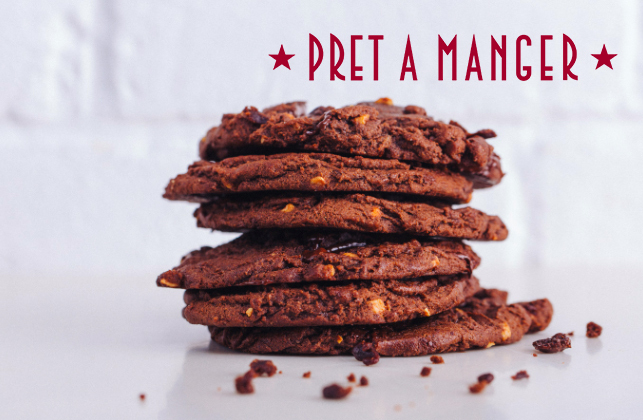 Pret A Manger is adding tasty new vegan options to its Spring menu, including its first-ever vegan cookie. High-street coffee shop Pret, which is well-known for its wide range of vegan-friendly grab-and-go lunch and snack options, is adding some tasty new vegan options to its Spring menu, including a new vegan breakfast option, a flatbread and its first-ever vegan cookie. 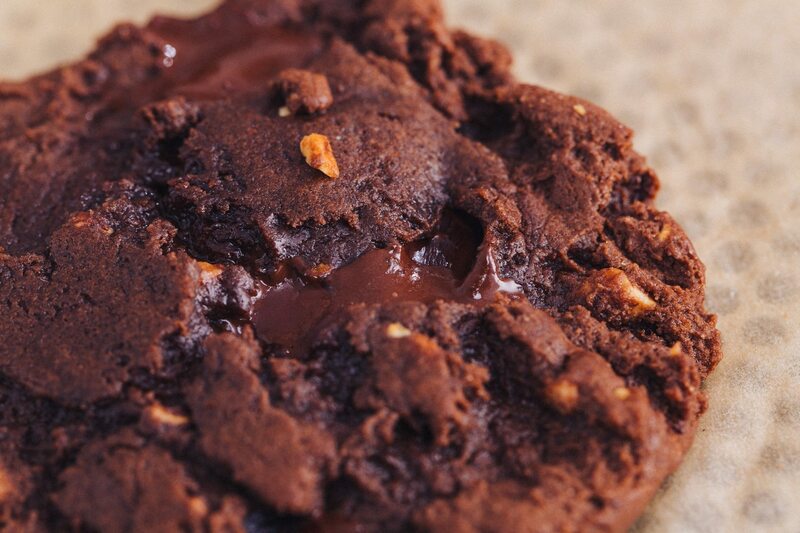 According to a spokesperson for Pret, “vegan sweet treats are very popular amongst Pret’s customers and this cookie has been created to meet demand,” the Dark Chocolate & Almond Butter Cookie (£1.45) ‘combines vegan dark chocolate with almond butter and a little sea salt’. 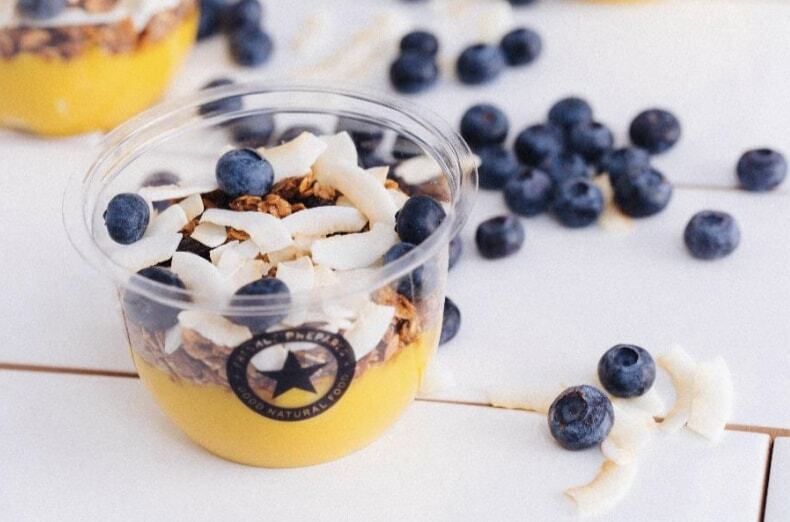 Pret A Manger is also launching additional vegan products, including the Mango & Banana Sunshine Bowl, (£2.99) which is described as a combination of ‘blended ripe mangoes with banana, coconut milk, granola and a little turmeric’. Sounds like a great way to start the day to us! For those who are looking for a filling lunch option, there’s a Vegan Chilli Flat Bread (£3.99), which is comprised of a combination of spicy vegan chilli, avocado, charred corn and black bean salsa. If you prefer milder dishes, then the ‘chef’s special’ Avo, Olives & Tomato baguette (£3.50) is the sarnie for you. This option will become a permanent fixture on the menu, giving hungry vegans more options for a quick bite to eat when out and about. Pret’s Head of Food Development, Hannah Dolan, said: “We’re thrilled to be launching a new range of products this spring. I’m especially excited about the vegan cookie, which combines almond butter with dark chocolate and sea salt to make the perfect afternoon treat. In 2015, Pret’s CEO Clive Schlee had noticed sales of Pret’s vegetarian products growing; the Beets, Squash & Feta superbowl was outselling chicken and salmon versions. Clive asked customers for their feedback on what they wanted to see next from the company – almost 10,000 people voted and Pret opened a veggie pop-up in Soho the following June. The pop- up was initially designed as a space to trial new vegetarian and vegan recipes for a month, but it became so popular that Pret decided to keep it open for the summer, before making it a permanent shop in September 2016. A second Veggie Pret opened in Shoreditch in April 2017, and a third on Exmouth Market, Clerkenwell, in October 2017. In regular Pret shops, more veggie and vegan options have been introduced, and they now make up 51% of the sandwich and salad offering to meet customer demand. The new menu will be available in stores from April 17th.